April showers may be a sign that spring has sprung, but before thinking about barbeques and baseball it is important to make sure your home or office is safe from torrential rains and flooding. Water damage can result in real harm to your property’s value and structural integrity. With floods becoming more and more frequent across Long Island one must prepare for the dangers associated with a flood. We can give you advice on how to best restore both your property and lifestyle. Wires, power lines, and electronic devices may still be live during a flood. The water will act as a conductor increasing the chances of electrocution or fire. Contact your local power company if you suspect you might be in danger. Floodwaters can wreak havoc on your gas lines as well. If you smell gas it is important you leave immediately and call your gas company. Be sure to remove yourself from a dangerous environment as soon as possible. 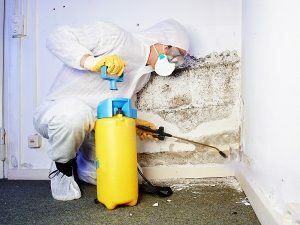 After flooding occurs call us here at Branch Services as soon as possible because mold can grow within only 12 hours. With 24-hour emergency service we know the importance of moving quickly to mitigate the damage. Our flood removal process will ensure the water is disposed of swiftly, enabling us to start water damage restoration. Your second call should be to your insurance company to ensure you are covered. The experts here at Branch Services have years of experience working with insurers; our knowledge of insurance policies will ensure you get everything you’re entitled to. There are things you can do to better prepare yourself for submitting a claim for restoration services. Creating a home inventory of your valuables is a great way to expedite the claim. Keep receipts of your newly purchased valuables to remove the guess work in estimating the cost of replacement. Create a list of every product that would need to be replaced. Organize them by room and type of item: clothing, electronics, jewelry etc. Take photos of the rooms that contain items of great value. They can be used as reference after experiencing a devastating flood. Be sure to update your photos and inventory yearly. Contaminated water can bring Salmonella, E. coli, and a litany of other bacteria that will cause real health problems. You should dispose of any food that came in contact with the water because eating or drinking a contaminated product significantly increases your chance of infection. The threat of infection isn’t just an issue with food and drink, any materials exposed to the water—medication, children’s toys, or even cosmetics— could become contaminated and have significant effects on your health. If you have lost electricity, or the flood reaches your kitchen, you should dispose of any perishable items you may have in your fridge; chicken can start to spoil after only 2 hours of being removed from refrigeration. Keep your family away from the floodwater. If anyone has come in contact with the floodwater it is important they clean themselves thoroughly. Kids maybe tempted to splash and play in the water, be sure they are aware of the severity of the situation. Even after the water is gone mold growth can begin within just 24 hours. It is unsafe to be around water damage. Porous materials like drywall and carpet need to be handled by experts with advanced knowledge of the drying process. You may be tempted to bring out the hair dryer or dehumidifier in the hopes of solving the problem yourself, but it is important to contact a professional. Even minor water damage can have significant effects on your health. Water removal is a specialty of ours and we know how to best control moisture ensuring the best results. Our industrial-grade dehumidifiers and air scrubbers will stop every type of mold and mold spores from infecting your property. Branch Services wants to get you back in the swing of things as quickly as possible. After thoroughly drying your home Branch Services applies an E.P.A. approved antimicrobial agent to help prevent mold growth, making the air you breathe safe once again. Being a victim of a flood can make it tough to compose yourself. There is a lot to do. Branch Services is going to help return your life to normal as quickly as possible. You’ve heard the expression “where there’s smoke, there’s fire.” The team at Branch Services wants to remind you that where there’s fire, there’s smoke. And soot. And odor. And, in most cases, water damage and flooding from firefighting efforts. Fire not only destroys what it touches, but its dangerous smoke and soot adhere to walls, carpets, cabinets, furniture, ceilings, floors, and counter-tops. Smoke leaves behind hard-to-fight stains and odors. Fire and smoke can destroy glass, tarnish metals, and damage your electrical wiring, plumbing, and appliances. Long-term exposure to air containing soot can increase the risk of heart disease. The water or chemicals used to extinguish a fire can also cause major problems. When a fire devastates your home, recovering and restoring your possessions may seem impossible. This is where the fire remediation pros at Branch Services come in. Time is of the essence, so it’s crucial that you contact our team right away. Our process begins the moment our experts arrive at your home. First, we examine the framing of your house and sub-floors for structure safety. Then we closely inspect your entire home to assess the nature and extent of the damage. We will create a plan of action, and estimate how much repairs will cost and how long they will take. Next, we start the removal of all charred or unsalvageable items and debris. Because water damage can cause health issues, we will promptly remove any standing water by using submersible pumps and wet/dry vacuums (aka shop vacs). 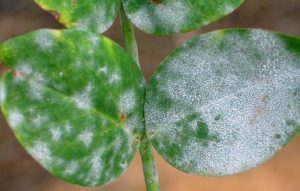 Affected areas will then be dried and sanitized. Branch Services provides detailed soot sponge cleaning of all affected areas. We also handle the dry cleaning of upholstered items, linens, apparel, etc. Deodorization of all affected areas ensures the removal of any odors that can linger after the smoke has been in the room. This might involve carpet cleaning, and will often need to address adjacent rooms as well as those directly affected by fire damage. This will make your belongings useable again, and it will also prevent health issues. This process will involve the use of many different cleaning appliances and industrial equipment. Finally, we will begin the restoration of salvageable carpets, rugs, furniture, documents, fine artwork and electronics. 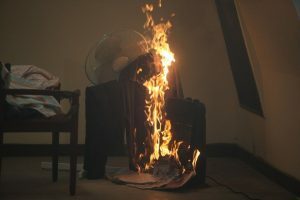 Losing precious possessions to a fire can cause significant emotional distress. Rebuilding after a fire is not without its challenges. However, with the help of the highly skilled fire remediation professionals at Branch Services, your house, and its contents can be restored to their original state of safety, comfort and allure. Immediate action is the key to recovery and restoration. After your call, Branch Services arrives promptly to help minimize damage and begin the restoration process. Our talented and caring technicians are determined to get you and your house back to normalcy as soon as possible. We provide 24/7 emergency services, and our ultimate goal is to return beauty to your home and peace of mind to you and your family. It has been a seriously cold winter so far. With the cost of home heating, many people are relying on space heaters to keep warm without breaking the bank. While they can save money in the short term, space heaters still pose a threat of fire. Here are safety tips to keep your home or business warm during the winter months and to prevent a space heater fire. Check for Safety Certification– When purchasing a space heater, look for a safety certification from a well-known source, such as Underwriters Laboratories (UL). Make Sure It Has Auto Shut Off– Auto shut off features are beneficial to prevent overheating and hazards if the space heater tips over. Many fires occur when a space heater is knocked over. Make Space– Make sure there is at least 3 feet of space around the space heater and anything that could set fire. Take care to remove flammable materials such as curtains, bedding, and clothing. Aside from cooking fires, space heater fires that start because they are placed too near a flammable surface are the 2nd most common type of house fire. Keep Them Out of the Bathroom & Kitchen– Space heaters do not typically come with GFCI plugs. To prevent electrocution keep the heating unit away from water. Bathrooms and kitchens are a bad idea for electric space heaters. No Extension Cords- Plug only the space heater into the wall outlet so as not to overload the circuit. Never use an extension cord with space heaters because the amount of power drawn from these units is too much for a low amp extension cord to handle. It can cause the cord to overheat and spark a fire. Keep it On the Floor-Keep the space heater on the floor, preferably wood or tile. Low-pile carpet is acceptable but stay away from high-pile and shag carpeting because it can easily catch fire. Heaters kept on shelves or tables can knock over and spark a fire. Keep Away From Children and Pets- Kids and pets can be burned, electrocuted, or can start a fire by knocking it over or putting things like blankets and toys too close to the heater. Turn Off When Not in the Room- Make sure to turn off the heating unit when leaving the room or going to bed. Check the Wires- Check for worn or frayed wires before using the space heater. Don’t use if wires are worn or broken. Even when we take precautions accidents can happen. 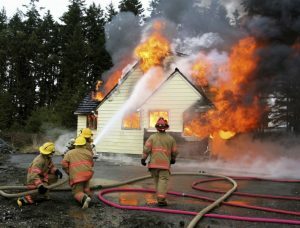 If you experience a fire in your home you can always rely on Branch Services to be there to clean it up. It’s not even winter yet and it has already snowed twice on Long Island and unfortunately it looks like this winter is going to see a lot of snow. With lots of snow the risk of water damage, and consequentially mold damage, becomes an issue. An ice dam is a ridge of ice that forms at the edge of a roof and prevents melting snow from draining off the roof. The water that backs up behind the dam can leak into a home and cause water damage to walls, ceilings, insulation, and other areas of your home. 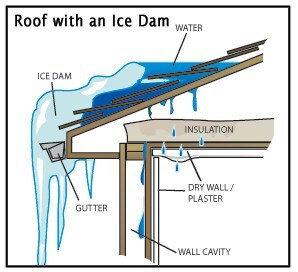 An ice dam forms when heat collects in the attic and warms the roof, except at the eaves. Then, snow melts on the warm roof and freezes on the cold eaves. Finally, ice accumulates along the eaves, forming a dam. Melted water from the warm roof backs up behind it, flows under the shingles, and into the house—causing water damage. Icicles hanging along the eaves of your house may look beautiful, but they spell trouble. That’s because the same conditions that allow icicles to form also lead to ice dams: thick ridges of solid ice that build up along the eaves. If you notice ice dams forming after it snows do not try to hack them. Hacking away at ice dams with a hammer, chisel, or shovel is not only going to harm your roof, but could injure you as well. Removing the snow from your roof using a special aluminum snow rake will help. Another fix is to take a box fan into the attic and aim it at the underside of the roof where water is actively leaking in. This targeted dose of cold air will freeze the water in its tracks. If your home has water or mold damage from ice dams, contact the experts at Branch Services. The holiday season is just around the corner, and unfortunately in the fire restoration business that means we’re at our busiest. Residential fires during the holiday season are more frequent, more costly, and more deadly than at any other time of the year. There are a number of factors that add fuel to these tragic statistics; but while the risk is higher during this time of year, there are steps you can take to mitigate the fire risk to you and your family during the holiday season. No matter your background, it seems that the one constant in holiday celebrations is the fact that it is centered around food. Families get together in the kitchen and cook whole feasts. With so many pots going and so many people in the kitchen, it is easy to get distracted and lose track of what we are doing. The best way to prevent kitchen fires is to pay attention and apply a little common sense. Keep all dishes and paper towels away from open flames, set timers to remind you what needs to come off the stove when, and make sure you have a working fire extinguisher close at hand in case a fire does start. If you’re planning to deep-fry your holiday turkey do it outside on a flat, level surface at least 10 feet from the house. Candles are a big part of holiday traditions. Their soft glow illuminates the room and some can fill the air with our favorite holiday scents, but candle-related fires are also associated with the season. To reduce the danger, maintain about a foot of space between the candle and anything that can burn; keep flames away from pets and young children; set candles on sturdy bases or cover them with hurricane globes; never leave flames unattended; before bed, walk through each room to make sure candles are blown out. For atmosphere without worry, consider flameless LED candles. Nothing creates a bigger fire hazard than a 7-foot tall pile of dry kindling. 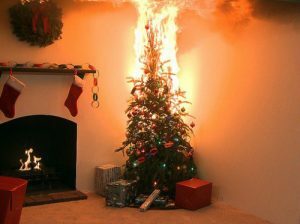 A Christmas tree is almost explosive: it takes less than 30 seconds for a dry tree to engulf a room in flames. To minimize risk, buy a fresh tree with intact needles, get a fresh cut on the trunk, and water it every day. A well-watered tree is almost impossible to ignite. Keep the tree away from heat sources, such as a fireplace or radiator, and out of traffic patterns. If you’re using live garlands and other greenery keep them at least three feet away from heating sources. No matter how well the tree is watered, it will start to dry out after about four weeks. Artificial trees can also reduce risk as many are created to be fire retardant. While not all of us embrace the Clark Griswold philosophy on holiday displays, even modest illumination can pose a fire hazard. Before you set anything up check last year’s lights for any frayed, cracked wires or broken sockets. For outdoor lights only use lights rated for outdoor use. Don’t plug more than three strands of lights together on a single plug. When hanging lights outside, avoid using nails or staples—which can damage the wiring and increase the risk of a fire. Instead, use UL-rated clips or hangers. Don’t leave lights up year-round, as weather and animals take their toll on the wires making them more likely to catch fire. Baby it’s cold outside! Portable heater fires are common in the colder months. Make sure you use a heater with automatic shut-off if it gets too hot or tips over. Keep heaters far enough away from anything that can catch fire and do not leave a heater on unattended. Soot can harden on chimney walls as flammable creosote; so before the fireplace season begins, have your chimney inspected to see if it needs cleaning. Screen the fireplace to prevent embers from popping out onto the floor or carpet, and never use flammable liquids to start a fire in the fireplace. Only burn seasoned wood. Even when care for safety is taken, fires can happen. If you experience a fire during the holiday season, the fire remediation experts at Branch Services can help you rebuild quickly. Welcome to our blog. This is our first post!